In addition to sending closure instructions with each order of aluminum bottles, Elemental Container offers capping tools to help you follow our recommendations and comply with hazardous shipping requirements. Proper closure with our capping tools is the best way to prevent leaks. 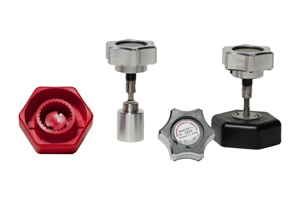 For torque up to 50 inch/lbs., we offer capping tools with preset torque and a custom chuck/adaptor. These tools will help you reach the recommended torque, and allow operators to close large numbers of bottles without hurting their hands. For torque above 50 inch/lbs., we offer a torque wrench with a custom chuck/adaptor.